Break out the bright colors. As far as I'm concerned it's summer. It's been summer since March here in Florida. We typically can have some pleasantly mild temperatures at least through mid April, but not there year. It was hot starting in March. I won't lie, I despise the Florida heat and humidity. It's the only thing I hate about where I live, and I go out of my way to avoid being outside if possible. It's all about the air conditioning! Weather tends to dictate my color choices for me, so brights it is! This is a recent Color Club neon I picked up. 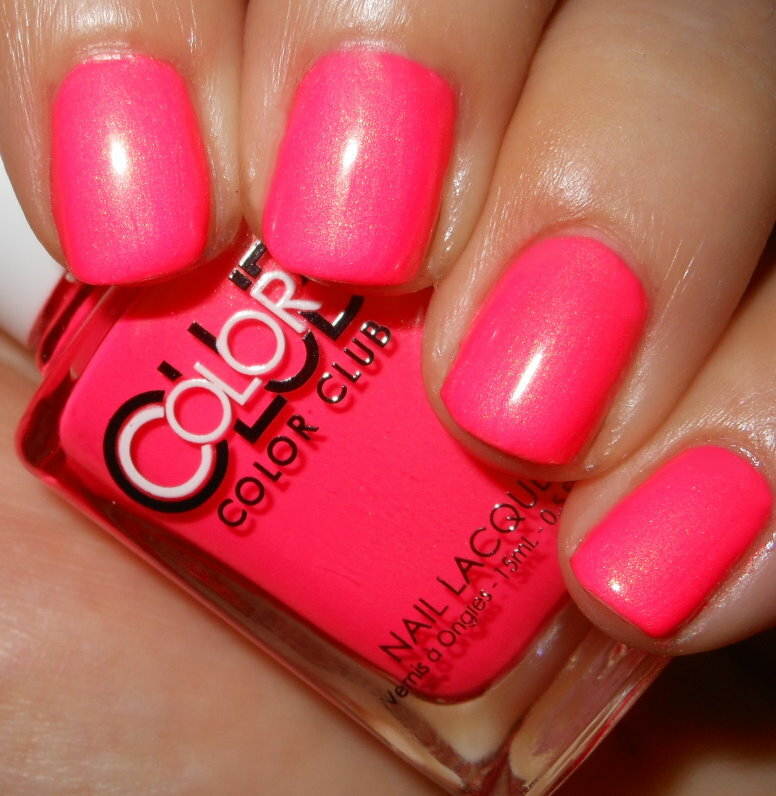 Peace, Love, and Polish is a neon warm-toned pink with a golden shimmer. Color: This is what I'm talking about. Neons with shimmer is where it's at for me this year. I love neons, but I want some variation. I've been collection nail polish since 2008. I have plenty of neon cremes, break out the shimma! 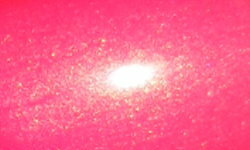 This is a beautiful warm almost coral toned pink. The shimmer in this is brilliant. It really enhances the look of the color is has the right amount of punch. Formula: The formula on this was really nice. I did not have any issues with it at all, and it applied easily. I wish I could say the same for other Color Club neon formulas. I used 2 coats above. Price: I paid $3.50 for this on Head2ToeBeauty. Overall: This is going to definitely be a summer staple polish for me this year. I think this maybe my next pedicure color. I love the vibrancy of this neon shade and that golden shimmer just makes this polish for me. This is a winning nail polish! Very glowing pink that is. Wow that is a bright polish! I love it!